The company said it made the decision after plans to resolve problems with an injection of €15m (about £13m) failed to materialise. Sister company Germania Technik Brandenburg is also affected but other subsidiaries including Swiss carrier Germania Flug are not. 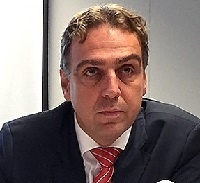 Chief executive Karsten Balke, said: “Unfortunately we were ultimately unable to bring our financing efforts to cover a short-term liquidity need to a positive conclusion. The latest setback for German aviation follows the collapse of the country’s second-biggest operator Air Berlin, which filed for insolvency in August 2017 and halted operations two months later. Many of its routes were picked up by easyJet. The future disposition of Germania’s fleet of 25 Airbus A320neos, 19 A319s, six A321s, four Boeing B737-700s and one A320 has yet to be decided.